Over the last couple of years, I’ve been advising IT and business leaders that they need to gear up their digital/social/mobile strategies to match the advances taking place in the technology world today. On its face, this only makes sense. Technology change continues to accelerate and the growth in the cloud, social media, mobility, big data, and just about everything else is increasingly off the charts as I recently presented to a group of CIOs. As JP Rangaswami once said, we have to design our organizations now so that change is an integral function of how they operate. Unfortunately, most organizations largely haven’t done this effectively for a variety of reasons. For one, it’s surprisingly difficult to do if your business wasn’t built around high technology from the outset. Frankly, since so many other organizations are having a hard time with it as well, the competitive implications haven’t always been severe. However, that also doesn’t mean that some organizations aren’t failing outright through poor digital adaptation. Some clearly are, and the closer technology is to how you do business, the riskier slow digital transformation is. Just ask Blackberry, AOL, Borders, R.H. Donnelly, or a long list of companies that haven’t adapted to how digital innovation transformed their industry. In the last few years, consumerization has emerged as a leading force in most organizations that is driving emergent, grassroots-led tech change due to increasingly pent up internal demand. The signs are all there: Bring-Your-Own-Technology (BYOD, BYOA), Facebook as the largest enterprise collaboration platform, app stores as the easiest + cheapest IT department alternative, and the list goes on. This pressure — combined with the inherent complexity in moving more swiftly towards adopting new technology — by the various stakeholders of most businesses has become increasingly untenable, even with consumerization taking some of the pressure off around the edges. Yet somehow, many large organizations are currently sustaining it, despite being greatly outmatched by the growing chorus of “more” they get from their workers, customers, business partners, and the marketplace. To keep their spot on the treadmill, some organizations are now looking for new models to keep all of this sustainable. But I believe that we’re now starting to realize what one of the core obstacles is: Identifying the best way for businesses to leverage the vast existing resources they already posses, and then devising and realizing fundamentally new ways to use them to engage at scale across today’s digital channels and ecosystems. Thus a fundamental mismatch between how our enterprise resources are connected to the digital world lies at the root of poor digital transformation. And the solution is likely a deeply engaged, muli-faceted, multi-channel digital approach sized to the scale of the challenge. To address this mismatch, businesses have started to make significant changes in how they are organized around technology. The whole conversation about the new role(s) of the CIO, the CMO, and the new Chief Digital Officer are taking place in many industries today. Some of this discussion has started to be effective, and with so many companies struggling to successfully grapple with the torrent of digital innovation today, the window perhaps hasn’t closed. Most organizations need to update their digital strategies much more often than they are, revisiting their core business models, and making the resulting outcomes far more highly interconnected and organically structured. They also need to inject the solution to digital scale and velocity deeply into their operations. Those that do this well can become the digital leaders and not the legacy laggards. It’s time for most organizations today to uplevel their technology stance: They must become profoundly proactive about external change and innovation. That’s because technology change is currently happening much faster than most organizations can readily absorb, at least how they’re doing it today. But that doesn’t mean they shouldn’t try. More importantly, they should begin putting in place the processes and structural changes required to begin adapting and co-evolving more quickly. 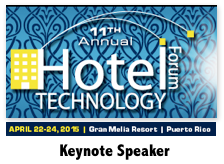 Technology is an enormous amplifier of human effort. However, because it also uses itself as a ladder, it changes more and more quickly as time goes by. Add in the fact that anyone, anywhere can now innovate on top of the current technology curve and distribute their efforts to the world at practically zero cost, and you have a near-perfect recipe for disruption of the traditional status quo for IT in the enterprise. So how can a central bureaucracy that is greatly outnumbered by its customers ever help bring in enough new technology to satisfy the increasingly voracious demand for apps, data, devices, and more? In short, it’s much later than most IT departments think. Disruption is coming fast in a mobile, cloudy, social world. Fortunately, there are indeed some ways that might work to address this headon as I’ve explored recently. But as organizations implement these strategies, they also need to bring in the fundamentals of the biggest and most important advances right now. Falling too far behind and becoming a technology laggard means significant and sustained loss of competitiveness that’s very difficult to recover from. With change happening so rapidly, and technology creating a widening gap between the top performers and the 2nd tier, it requires organizations to run a bit faster just to stand still while they make the changes needed to have a more sustainable future. What’s needed is a short list of specific high-impact changes that will also lay the groundwork for future growth and digital transformation. In my professional opinion, the list below represents the absolute minimum that enterprises should be building skills in and piloting this year. However, most of these are really must-haves now, to have at least in the experimental phase in your organization today. I also realize, from working with hundreds of companies in the last few years, that you’ll typically have less than half of these represented in your organization today. But that’s the point of the list, to find the gaps in your next-generation IT arsenal. I’ve omitted obvious items like BYOD and Big Data platforms like Hadoop, since virtually all organizations have these on their lists already. Note that this is a more tactical viewpoint that what I usually provide. For example, I pick out key planks of new approaches, such as Social CRM and employee social networks, instead of the entire view of social business. Organizations need clarity on where to start to become a next-gen survivor, and this breakdown will help I believe. A next-generation enterprise describes organizations that are proactively moving into the present by changing how they assimilate, architect, apply, and maintain their technology solutions in the context of updating and transforming their processes, structure, and business models to effectively align with and work natively in today’s networked and highly digital economy. While that may be a mouthful, it also accurately describes what most organizations must do to ultimately avoid disruption in the marketplace as technology increasingly defines how our businesses engage with and provide value to the world. Mobile customer self-service. This is an official company mobile app that lets your customers engage in (at least) the top ten most frequent customer service activities. The best of these won’t copy the features from your web site but enable new models of customer interaction made possible by mobile device capabilities. Example: The financial services firm USAA turned every one of their customer’s smart mobile device into a mobile bank branch, allowing customers to deposit checks by taking a picture of them inside their app and transmitting it, saving them a trip to the bank. Open supply chains/APIs. If you aren’t strategically opening up your business for the world to build break-out new products and services on top of, then you should start and start this year. Organizations like the World Bank, Best Buy, and many others are doing what the Internet giants are doing: Building ecosystems. You must too. Get a sense of where the fast moving world of the Internet is heading with this from an overview of my good friend John Musser’s talk at Glue last week. Employee social network. 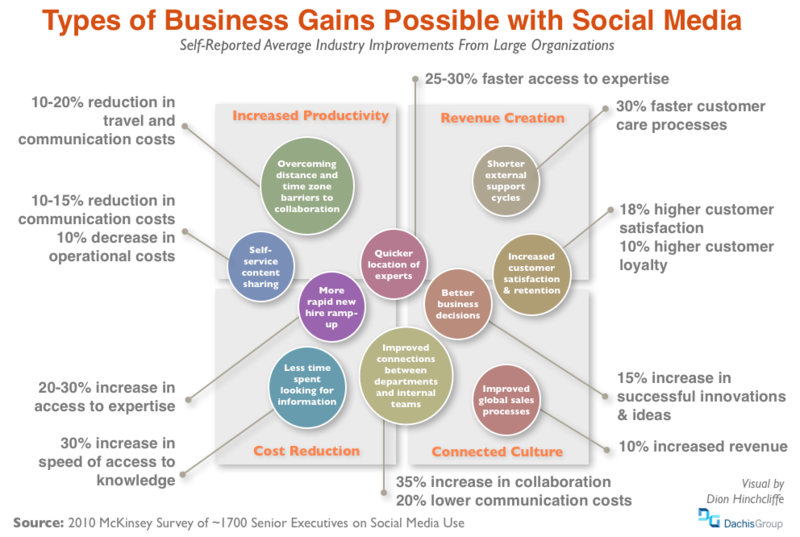 There are many genuinely potent ways to apply social media to significantly improve outcomes across any organization — see the detailed case studies in Social Business By Design (Wiley, 2012) for game-changing examples — but it’s now clear that every company is getting its own social network. While some will not be strategic to the business or have low levels of use, the data increasingly shows that most organizations get value from them. We already see that organizations are finding social networks proliferating with Chatter, Yammer, Socialcast, SharePoint, and many others. Enterprises much take charge, provide clear leadership, and anoint official social network(s) as appropriate. Bonus points for understanding where ROI in social business comes from and focusing on it with this effort. Gamified business processes. Perhaps the least important sounding of all of these next-gen enterprise trends, yet I’ve been surprised at how fast some Fortune 500 companies have adopted this. I spoke with the CEO of Badgeville recently and he indicated that nearly 150 of the Fortune 500 were using their gamification platforms. I recently wrote a detailed breakdown of the enterprise gamification space as well that explores some truly impressive results. Community-based customer care. Organizations like SAP, Intuit, American Express, and others have all demonstrated that customers can support other customers (in general) far better than a company can. Companies have limited resources, customer care is considered overhead, and other customers with similar backgrounds and needs already have better insight they can share. While Social CRM is the official buzzword for this approach and is the industry where you can find the most applicable technology support, you really only need some community software, a simple strategy, and some community managers. Don’t wait, start now. This is where some of the easiest and quickest returns are on this list. Unified communication. After years of languishing and with market penetration hovering around 30%, unified communication is set to explode this year to help address the channel proliferation problem today. UC is also incorporating social media and otherwise moving beyond the telephony and IM space to become much more strategic. While I’ll be exploring the intersection of UC and social business soon, the latest data from IDG shows that 90% of organizations are looking at unified communications in 2012, a huge leap from last year and one that should be on everyone’s next-gen roadmap. 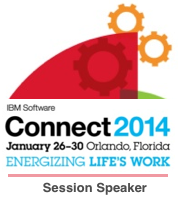 End-user led IT and competitive #CoIT. 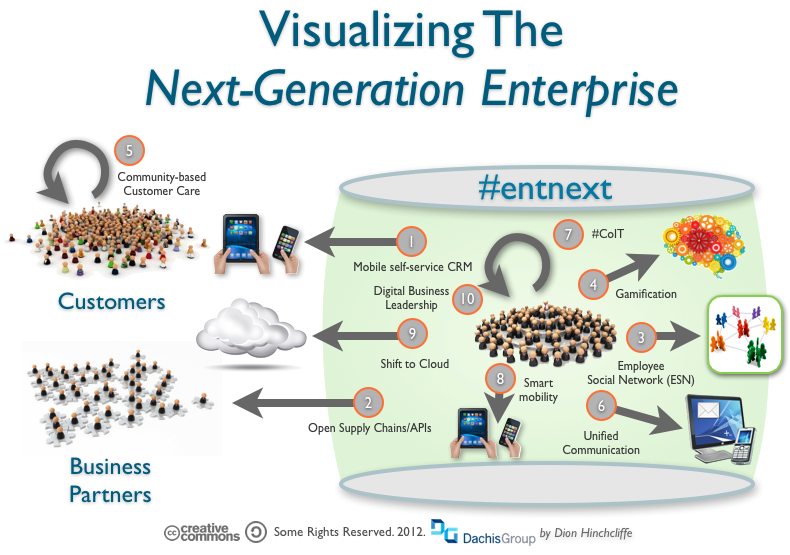 Users are going to help lead the technology adoption for next-generation enterprises. Collectively, they have the resources and bandwidth to explore, evaluate, and apply new forms of IT. These include SaaS, disposable apps, mobile devices, and much more to their local technology problems. IT departments will become the curators and enablers, collecting and disseminating best practices across the edges of organizations. As part of this, IT organizations will deliberating put themselves in a competitive position with outside suppliers and 3rd parties. They’re already facing stiff competition from app stores and outsourcing firms, and now they must demonstrate they can effectively compete. You can read up on the CoIT model in my explorations on the topic over the last year. Mobile IT reinvention. 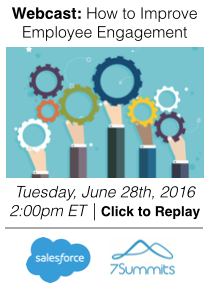 You must be mobile-first for most of your future IT deployment. Mobile is also going to require rethinking IT. Most organizations already know this now, so I don’t need to belabor this point, other than simple translations of legacy IT to tablets will be woefully insufficient and will drive users to 3rd party apps. Read two great cautionary stories about this from Gartner’s Andrea Di Mao. Migration to the cloud I currently see less focus on moving to the cloud these days. Part of this is because it’s just happening and being baked into many of the services we now use in the enterprise. But I also see a lack of understanding of how strategic the cloud can be. Start moving the edge of IT into the cloud to reap the benefits that go far beyond cost containment and into business agility and innovation. The cloud really does enable entirely new solutions to old problems. 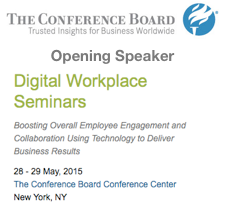 Digital business leadership and transformation. Start laying the groundwork to drive the business when it comes to moving to digital business models, where the future of most companies lies. CIOs and other IT leaders should be moving away from an infrastructure focus and to a business innovation focus as quickly as possible. While this is far easier to say than do, the very future of IT is at stake as CFOs increasingly focus on moving infrastructure out to the cloud. The future of IT is digital leadership, and less in technical plumbing, even though that will remain vital at a strategic level. 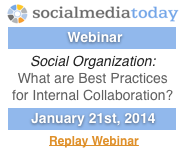 What’s on your list of the top digital strategies for organizations this year? Please add your thoughts in comments below. How Are CIOs Looking at Today’s Disruptive Tech Trends? Last October I was invited as a guest to participate in the Tuck School of Business 10th anniversary session of their Roundtable on Digital Strategies. 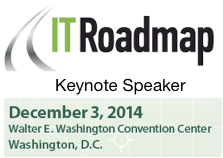 This diverse group of senior IT leaders is comprised primarily of CIOs of some of the world’s largest enterprises. The roundtable members came together to discuss what was termed the present “mega trends” in technology, including the effect they are having in how their businesses currently operate and evolve. It was an eye-opening experience, not the least because of the transformative changes that were evidently taking place in the companies represented. One fact stood out: Many of these tech trends are happening with or without waiting for information technology departments to embrace them and bring them into the organization in an orderly and controlled way. I’ve spoken about shadow IT for a few years and it’s clear, particularly with mobility, that loss of control is firmly entrenched in a growing number of large IT organizations. The mega trends that we discussed that day were the usual suspects. They are the ones that I’ve been exploring in detail recently: Next-gen mobility, cloud computing, social media, consumerization (#CoIT), and big data. 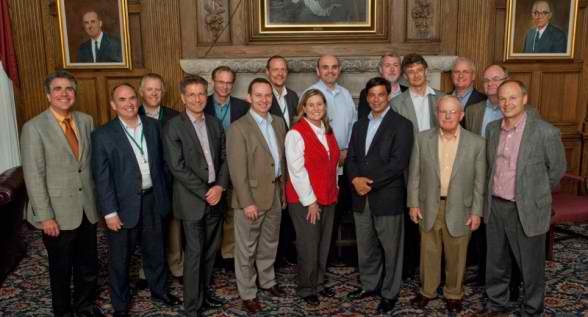 In attendance were the CIOs from American Express, Bechtel, Chevron, Eastman Chemical, Eaton Corporation, the Hilti Group, Holcim, Nestle, Sysco, and Time Warner Cable, as well as executives from CompuWare, the Dachis Group (myself), Dell|KACE, and ViON. The Roundtable itself was hosted by the Directors of the Center for Digital Strategies at the Tuck School of Business. The session was moderated by Maryfran Johnson, Editor-in-Chief of CIO Magazine and hosted by Adjunct Professor Hans Brechbuhl, who also wrote his own summary of the day. The discussion itself was far ranging and explored all of these megatrends in detail. The resulting outcome, a new 17 page report that has just been issued by the Center for Digital Strategies at the Tuck School of Business, confirmed that companies fall across the spectrum when it comes to adoption of these disruptive technologies. While virtually all the companies represented were feeling the full brunt of smart mobility, others had widely varying experiences with areas such as enterprise social media (aka social business in this context), big data, and cloud, though the first two had the most votes I believe in terms of the trends with the longest term and farthest-reaching impact. 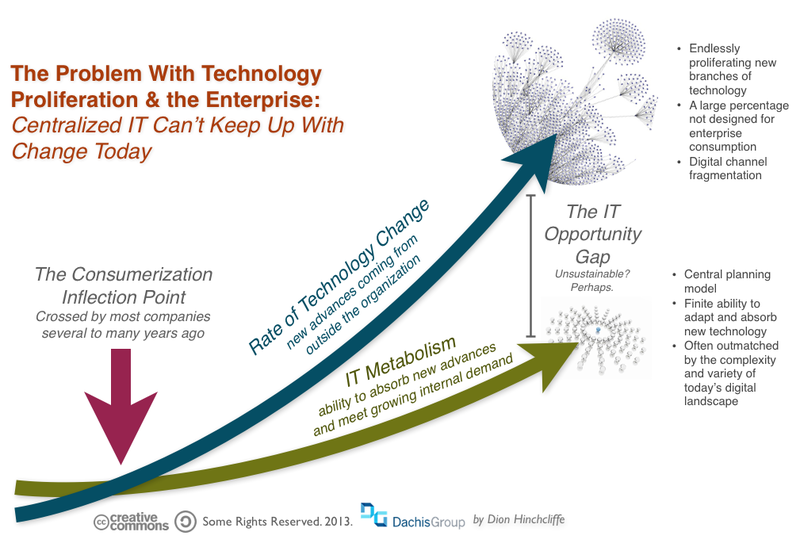 “Consumerization of IT” is a core catalyst for other IT mega-trends. The spread of social media and BYOD are clear outcomes, but “consumer” expectations play a surprisingly large role in the development of Big Data and cloud-based applications. Mobility is forcing new approaches to data security. User expectations of anytime/anywhere access to enterprise data conflict directly with IT’s charter to secure and protect the same data; this conflict is one of the sources of the rise of rogue IT. 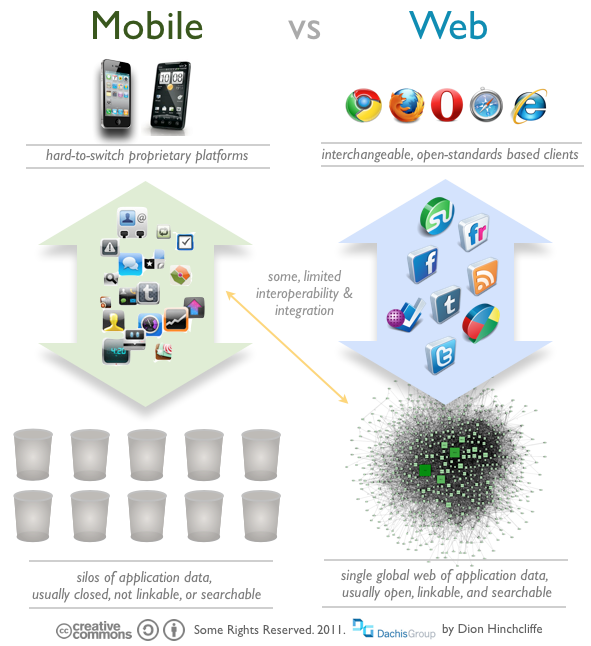 Both mobile and social applications are (finally) adding definable value to enterprises. Social media apps with definable ROI are primarily customer-facing; high-value mobile apps are still mostly internal. “Big Data” will affect every aspect of business. From plant operations to stock trading to predicting terrorist behavior, the combination of huge data volumes and massive compute power is beginning to answer questions never even asked before, particularly with respect to predictive analytics. “Designing for loss of control” is one of IT’s key challenges. Between consumerization/BYOD, rogue IT and the cloud, centralized IT can’t keep up with demands yet will still be held accountable for security, reliability and performance. IT’s future differentiation is far more about insight than about operations. 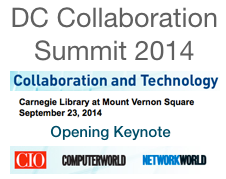 With technology so widespread, the ability to compete on IT operations has vanished. IT’s future value lies in delivering immediate, actionable knowledge. What companies are going to do in order to embrace these trends effectively is going to be the signature generational challenge of our era. I’ve explored the various possibilities (ten strategies to be exact), and no doubt others will discover other routes to success. 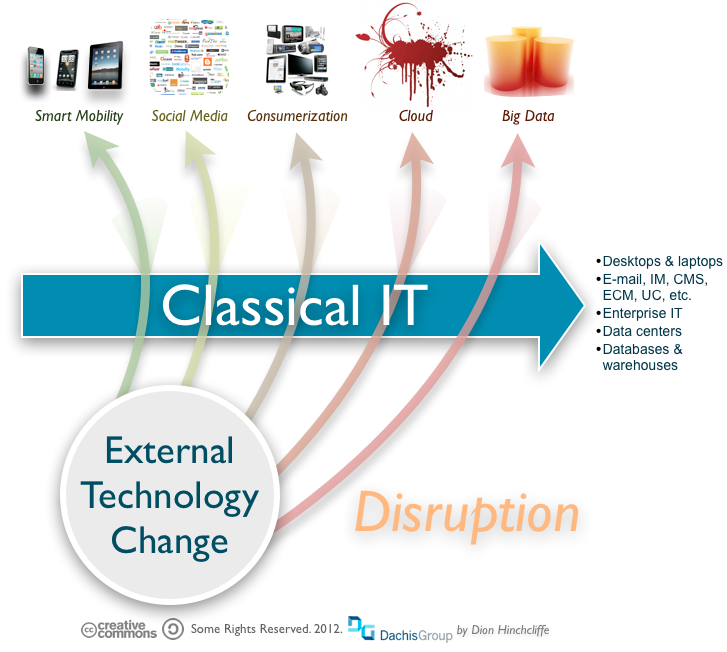 But the fact that so much of the change is externally imposed on IT departments and the lines of business outside of traditional channels is what makes the transition to them so disruptive. Thus, consumerization may ultimately be the underlying root cause of the rest of the trends as well as the primary driver of enterprise technology for the foreseeable future. Be sure to read the IT megatrends report itself for full details directly from the original sources. In the meantime, I’ll keep exploring these trends and how companies are planning, coping, and hopefully enabling them for their internal and external customers as IT gears up to have its most exciting decade in a very long time. While 2011 was a busy year, I’m expecting 2012 to be a breakout year for a number of key subject areas that I work with closely. The run up of social business over the last five years has been phenomenal but there’s a general sense now that it’s about to go truly mainstream. That’s not to say it hasn’t already happened nearly everywhere already, except for a significant part of the business word. This now appears to be changing as the latest adoption data shows that with few people left on the consumer side, the growth of enterprise social media is about to start closing the steady gap that it’s held behind the world of social media over the years. Then there is the whole consumerization story that’s unfolding at the moment. This has been a seismic event for many organizations as smart mobile devices, enterprise app stores, and software-as-a-service from the Web all combine to make adoption of the latest apps and IT solutions is just a mouse click or tap on a touch screen. At the same time, there is a growing sense that the classic line dividing IT and business is blurring, just like there is so much blur in many key business boundaries today. The lesson: Everyone can and should be be involved with making these changes happen constructively and effectively for their organization, whether it’s social media, information technology adoption, transformation to new digital business models, etc. Many of you know tat I’ve started to call this confluence of IT trends “CoIT” and it’s something I’ll be researching and speaking about extensively this year because I believe IT is about to change — no, is changing — in a substantial and irreversible way. The changes themselves are largely good but it will certainly leave some ‘creative destruction’ behind, to use the popular euphemism for what happens when innovation cuts through an organization in an unplanned way. Now that the basic platforms for social business have matured to the point that they’re ready for most organizations — and by this I mean both internally and externally for most common business functions like operations, CRM, marketing, product development, etc. — we’re moving into more sophisticated and higher-order capabilities. Capabilities like social business intelligence, enabled by the rise of both older and radically advanced new technologies now known as Big Data, are making it possible for us to actually make sense of the huge knowledge flows moving around us. I’ll also be closely following analytics, machine learning, natural language processing, metrics, and much more, both in terms of technologies as well as how to best embody them in operational business processes. 2012 is also shaping up to be the year of open supply chains, or as people on the Web call them, open APIs. The number of products and services that are now open to be remixed into other companies’ offerings has exploded in the last year. See this terrific visualization of API growth on ProgrammableWeb to get a sense that something big is indeed happening here. I’m now seeing sustained interest beyond the Internet community by traditional companies that are starting to see how much value they missed by looking at their businesses through like silos, disconnected from the digital rivers of commerce, ideas, engagement, and so on. 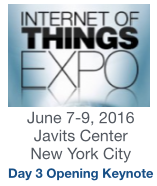 Open APIs are now officially on the radar of big company CIOs. They are seeing how it will be a significant competitive advantage to offer a compelling API in an industry that does not have strong uptake yet. 2013/14 will start looking bleak for those firms that don’t yet have them, or at least have developed competency in both the technology and business models. In the meantime, the tools, techniques, and business models for making APIs work for a wide range of industry has greatly evolved and will be important to watch. There’s plenty more I’ll be tracking this year; there’s really no shortage of topics that will be vital for all of us to watch including augmented reality, new mobile technologies like NFC, the rise of HTML5 and its coming battle with iOS and Android, gamification of just about everything, location-based social networking, enterprise OpenSocial, and much more. 60 Minutes with Nir Zuk. January 31st. I’ll be having a live fireside-style chat with Palo Alto Networks founder and CTO, Nir Zuk in a Web-broadcasted discussion about how enterprises must make the right policy decisions, in context, to safely enable social media in their organization in order to attain the corresponding business benefits. It’s a free event. 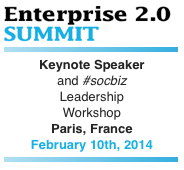 Enterprise 2.0 SUMMIT, Paris. 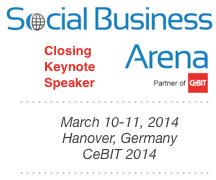 February 7th-8th This is one of the best enterprise social media events in Europe in my opinion. I’ll be speaking here again for the 3rd time, providing the closing keynote on the 2nd day on “Next-Generation Ecosystem and its key success factors”. 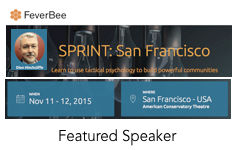 I’ve arranged a discount code for my readers from conference organizer Bjoern Negelmann. Use code ‘dhinchcliffe10’ for 10% off the registration fee. I’ll be there both days for anyone that would like to meet up. Enterprise 2.0 Virtual Conference. February 16th. 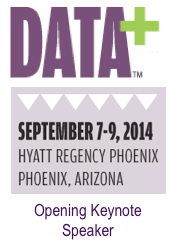 I’ll be providing the opening keynote on social analytics at this virtual event. I’ll be bringing with me real case examples, an overview of the latest tools and techniques, and primer on how to get started. You will be able to sign up here soon. CITE Conference & Expo 2012, San Francisco. March 4-6th. 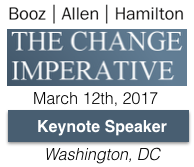 I’ll be providing the opening keynote on the topic of consumerization and CoIT, which is also the main topic of this conference. In addition, the day before, I’ll be providing a deep dive on how organizations can make it through the era of IT consumerization in much more detail in a half-day workshop. CITE is run by IDG and they are hoping to make this even one of the leading events on the topic. AIIM Conference 2012, San Francisco. March 20-22nd. This major event being held by AIIM has an all-star cast including Clay Shirky, David Pogue, Ray Wang, and many others. 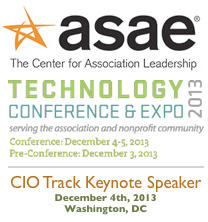 I’ll be providing the closing keynote on the 2nd day on next-gen mobility and mobile/social convergence. Highly recommended. 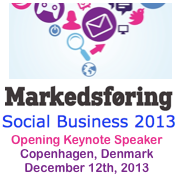 Social Business Summit 2012, Austin, Shanghai, Rio, Berlin, London, Singapore, New York. March-September. This is our official social business conference series for the Dachis Group. It attracts the top thought leaders in the space and is in its 3rd year running. 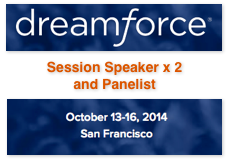 Previous speakers have included John Hagel, Charlene Li, JP Rangaswami, and Dave Gray. It’s invitation-only and most locations sell out quickly, so I’d request an invite now. I’ll be speaking at most of these to promote our new book. Also highly recommended. That’s it for now, but plenty to mull over. This year we’ll see many of the changes we’ve been tracking that last few years actually happening in the enterprise a widespread way. I’ll be covering them in my blogs and on Twitter as much as possible. As always, I’m interested in hearing from anyone in the trenches making these changes happen in their organization. Happy social business! The Web can’t keep up either. Mobile has mindshare now. While classical Web pages made purely of static content still easily beat apps, that’s also not where the value or the action is today. As with any distribution curve, it’s true that much of what is being produced in mobile apps isn’t very interesting or even useful. But that’s not the point; it’s the sheer volume of investment that apps are attracting which means that the high side of the curve is aggregating some of the best talent, and results. Moreover, there may be no easy way to catch up. A new generation of apps is appearing that takes advantage of the unique abilities that next-generation mobile devices alone usually possess. This includes location (GPS), orientation, images, video, audio, and increasingly, new capabilities like near field communication (NFC). Innovative apps like RunKeeper, StarWalk, and WordLens are only possible because of their deep integration with the rich sensors located in today’s mobile devices. HTML5 is going to address some of this disparity, but not quickly enough to address the tide of defections — and venture capital — from Web apps to mobile apps. The sometimes-blind rush towards mobile apps has begun to concern me. For one, there’s little question that the proprietary element of apps — including their developer APIs, associated app stores, and underlying run-time platform and ecosystem — represents a very slippery slope back to the old days before the broad adoption of open standards (which includes virtually all of the Internet, even today.) That was back when industry giants like Microsoft and IBM called the shots and practically everyone was at their mercy, with independent developers at a distinct disadvantage with the platform owners themselves. There was often little choice and lots of lock-in. The arrival of the Web — and to an almost as large an extent open source — broke the stranglehold on proprietary platforms and put everyone on roughly the same playing field. To be clear, I’m actually a genuine fan of mobile apps and have hundreds of them on my iPhone and iPad. They are sometimes well-integrated with the Web, but I’m constantly battling the “lock-up” they introduce: 1) I can’t easily copy and paste data in many apps, 2) you frequently can’t link to information, 3) it’s not searchable from one place, and so on. Worse, it’s usually stuck on one platform or even for a single device (I have plenty of iPad apps that won’t run on the iPhone for example.) In comparison, the Web gave us real choice in browsers, search engines, servers, services, apps and much more as well as an revolutionary data architecture that has unleashed the knowledge of humanity along with the social media revolution, which has ultimately given us (everyday people) leadership over the production and sharing of global information. We give this up at great peril. Can we still get to a good place? Yes, but it’s up to you. There is a distinct and sharp inclination today towards mobile apps. They are convenient, fast, fun, and always with us. I’m actually mostly for mobility in all its form — especially apps — but it now looks like we may have to re-fight the long and arduous wars of open standardization that got us to the right place with the Web. Like it was before, it will be hard going but worth it in spades. I should also note that the evolution of the Internet did fall down in a few key places that originally led to the rise of native mobile apps — namely not keeping up with the capabilities of mobile devices and by not introducing a way to make apps as safe, easily distributed, and monetized as say, iOS has. For that, we might pay a very high price indeed; our autonomy, competitiveness, and freedom to choose. Unfortunately, it’s often a zero sum game in terms of the shift in investment: Most Web apps simply must have a native mobile front-end now. That means it costs more to produce or the app collectively does less. Worse, while most mobile apps also have a Web experience, I notice that a growing number of them are using them primarily for support and brochure-ware instead of providing an integrated Web experience. That’s the slippery slope defined. Where all of this is headed is unclear and there are certainly many people working on unifying today’s Web and mobile devices. However, none have yet hit upon a solution that will be broadly adopted. I’ll explore this topic in more detail throughout 2012, but increasingly it is looking like a very large yet largely silent struggle is brewing between these two vitally important worlds. The upshot: The Web could potentially — in the long-term — become a second-class citizen and I’m very sure that’s not a good thing. Fortunately, in the end, I’m not overly worried about this yet, as the network effect of the Web is just so large. Then again though, so is the growing network effect of mobile devices. I’m certainly not alone in tracking this closely, a good piece by Gigaom’s Matthew Ingram this week discusses how folks like Dave Winer and John Battelle are thinking about the consequences. We all must do the same. Mobile is just one of the Big Five IT trends that we must grapple with in order to make the transition to next-gen enterprises. The title of this post is almost right. The workplace of tomorrow will look like a lot of things actually, including the Internet; just not a whole lot like the way our organizations look today. For one, the workplace itself has steadily begun to disappear as teleworking becomes more and more prevalent, though the latest data shows this will take longer than other more imminent changes. These other disruptive forces, such as next-gen mobility, social networking, cloud computing, and big data, are so close at hand that most organizations are already extensively affected by them. It’s not a stretch to say they are eclipsing how IT is applied to business in many ways, even as IT shops are significantly underestimating their current impact, according to brand new research from Unisys. Over the last couple of years, I’ve been following this set of closely interrelated trends, each one that began “out there” on the Internet or in the consumer world, and have little or no roots in the enterprise world. It’s this singular fact that induces in so many IT executives and business leaders a profound feeling of disquiet. Yet the ones I’ve spoken to this year realize that they have to respond to these changes. Why? Because technology innovation today is driven mostly by the Internet or the consumer world, yet technology is one of the leading ways we use to automate and drive productivity improvements in business. High technology — and particularly the fundamental architecture of the Internet — also has an innate tendency to dislocate the old ways of working. It tends to tear down the traditional — yet less effective — means of operation, along with their associated cultures, norms, and expectations. However, it’s fair to say that no one being held to a quarterly earnings cycle or holding a market leading position vulnerable to technology change (media, software, travel, education, etc.) likes to experience dislocation. So it’s up to organizations to get (much) better at realizing an effective digital strategy, just as innovation and change is happening much faster than any other time in human history. Recently, the phenomenon of “CoIT” has been growing. It’s a new concept that says that the adoption of IT is now proceeding rapidly outside of the CIO budget, often in entirely unsanctioned initiatives by lines of business. In its more mature form, CoIT also stands for a much closer yet decentralized notion of IT where innovation and technology leadership is driven on the ground by the business, yet supported by IT. The business — as well as IT — brings in the latest new cloud services, mobile apps, APIs, data sources, and mobile devices. IT then makes it safe, secure, and manageable, or provides guidelines for doing so. It’s a smart, efficient, scalable new partnership. 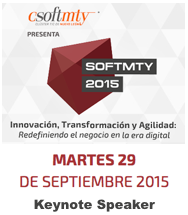 The former is the “Consumerization of IT” while the latter model is the “Cooperation of IT”. Both are represented by the moniker, CoIT, which was originally coined by Computerworld Editor-in-Chief Scot Finnie a little while back. Clearly there’s widespread interest in the topic, as one of my most popular writings this year was the exploration of the “Big Five” IT trends of the next half decade, one of which is consumerization, for which it could be argued it’s actually an encompassing supertrend. All of this ultimately culminated in a gracious invitation by Eric Norlin to come and present my research at Defrag 2011, which I did last week. Evidence is growing that current productivity gains aren’t coming from traditional IT investments. They are coming from somewhere else, or the cost of IT is collapsing radically. Almost certainly both are true by comparing slides 3 and 4. There is far too much new tech for any centralized process (like IT) to absorb. New types of processes must be created that can unleash and scale the application of powerful new technologies (next-gen mobile, social business, cloud computing, big data, etc.) to the business.. If the only real constant is change, change must be in our DNA. But these ‘genes’ are usually not present in large enough quantities in the enterprise. This is the concept of moving from fixed processes to dynamic relationships embodied by the Big Shift in order to transform the enterprise as we know it. Some changes will be more transformative than others. While mobility is the hot topic right now, social business and big data will have the largest long-term impact and especially the former will have truly game-changing and transformative consequences. Ten to hundreds of times more apps and data are coming soon, get ready for it. Cultivate the skills, create enterprise app stores, build social layers into the organization, define decentralized enterprise architectures (really, business architectures), and create a new CoIT playbook. Or this will all route around you. 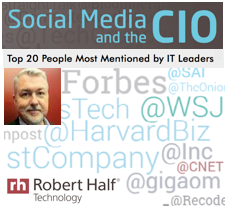 30% of IT is already outside the purview of the CIO and growing fast. I’ll be exploring this more soon with new data and examples. 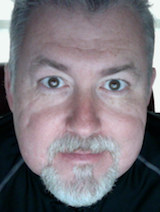 In the meantime, I’d love your thoughts on where you are seeing IT going in a rampantly mobile, social, big data world. In addition, here are 10 strategies for coping in the CoIT era. Are We Building Businesses? Or Are We Building Platforms? Yes. 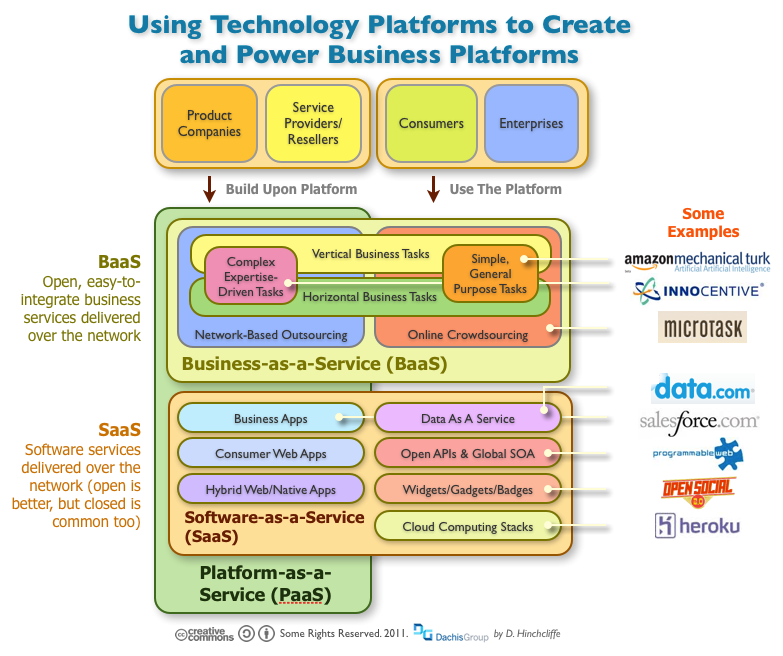 A couple of days ago I saw a tweet go by from Michael Cote, referencing some work I did a few years back that tried to articulate the full notion of where Platform-as-a-Service (PaaS) was going. I had been exploring the subject as Google and Amazon had recently been busy expanding their offerings in the space. But as I looked at this, it also occurred to me — as our focus much of the time in business these days is about strategies to deal effectively with the latest disruptive tech — that it’s up to us to have an abundantly clear vision of the big picture of what we’re actually aiming for as a whole. This is particularly true now since the choices we make today on how we build and evolve our businesses will either lead us to 1) break out of the box and thrive or 2) just make incremental improvements that are unlikely to propel us towards a sustainable and successful future. Key to this discussion is this question: Are we building businesses? Or are we building platforms? Of course the answer to both is yes, but most of us still possess a very 20th century notion of what a business is. A platform beats a product every time. In our deeply connected, social, mobile, cloudy, consumerized, and data-driven world, that’s what we must be creating, whether you’re a Fortune 500 company or an Internet startup. Only those with a clue about this will survive the 21st century for very long. Getting there requires real discipline, no cheating (read about Jeff Bezo’s mandate in Yegge’s post above), and minimal compromise. It must be a top organizational priority, especially if you’re a large organization and/or you control large, strategic data sets. Unfortunately, outside of the Web community, most companies don’t understand how to platform their business, or the urgency. But do it they must if they expect to compete with the new wave of digital native enterprises that will otherwise eat their lunch. Otherwise expect to be run over by Amazon, Facebook, and Apple, and a new generation of platform companies that get it. For a deeper discussion, please read the “Big Five” IT shifts today, and the 10 strategies I recommend to deal with them and for a detailed exploration of the specific technology and adoption challenges in particular. For specifics on how to platform your business, I recommend Running Your SOA Like a Web Startup and Open APIs Mature Into A Next-Generation Business Model.